Our members gain invaluable experience researching, analyzing, and forming recommendations for our clients. Due to our club structure allowing for specializations within consulting (Corporate, Marketing, Startup, Finance & Pro Bono), our members are able to define their own individual experience semester after semester, allowing them to discover precisely what they are most passionate about pursuing in their personal future. BBS is highly invested in the professional success of each of its members. In addition to our semester-long client projects, BBS holds internal training sessions that focus on career development through mentorship panels, mock interviews, resume critiques, and hands-on workshops. Our members are constantly learning from each other, as we come from a broad range of academic disciplines and professional experiences. Promoting a culture of close camaraderie is one of BBS’s core values. Despite our members’ diverse backgrounds and walks of life, BBS functions as a tight-knit group in which our members grow and develop close to one another. Besides engaging in semesterly retreats and weekly socials, BBS members can be found enjoying each other’s company on a daily basis. 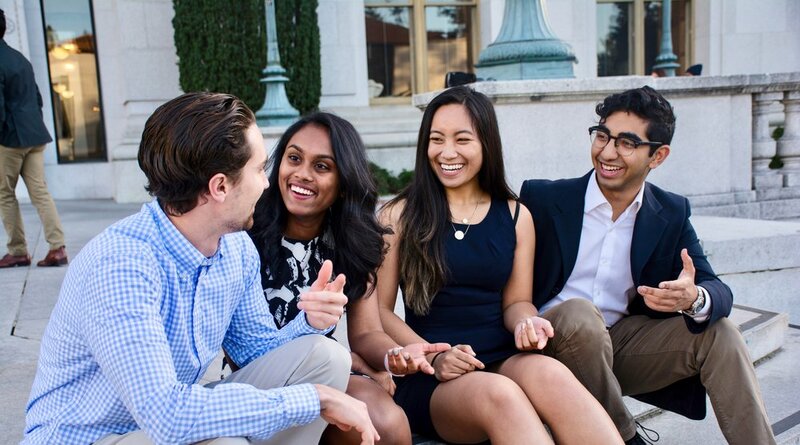 Whether it's grabbing dinner together around campus, going to concerts in the Bay Area, or traveling through Europe and Asia, our community is one that defines our members’ four years at UC Berkeley. Applications for Spring 2019 willl be due on Friday, February 1st at 8pm. Feel free to contact our Recruitment Chair, Ayushi Gupta, at aygupta@berkeley.edu with any inquiries.